There is a huge array of different lenses available for your DSLR. Which one(s) should you consider buying?? Well, let's review the purpose of each lens and then we'll get into the practicalities of lens buying. Lenses are designed to excel at a particular task. Some are very good at getting sharp close-up pictures, some are good at magnifying while others are very good at controlling distortion. No lens can "do it all". Several important qualities of a lenses include how sharp they are, how much they magnify, how well they can record color and contrast, etc. There can be great differences between, what appears to be, similar lenses. The further a lens is moved away from the film, the more magnification takes place at the cost of lost light - i.e., less light will reach the sensor. All lenses have flaws or "aberrations" - better quality lenses don't exhibit them as much. For example, some lenses can't focus all colors on the same plane. Therefore some colors will be in focus, while other colors won't. This can be a serious flaw in a lens and almost all lenses suffer from this to one degree or another. Some lenses are designed to focus all colors on the same plane. Different lenses record color and contrast differently. Better lenses often deliver higher-contrast, more pleasing images than poorer lenses. Same thing with colors and color saturation. It's important to understand the terminology that surrounds lenses. The first important term is Focal Length. Focal length can be defined as the distance from the sensor to the optical center of the lens. What if you were to take a magnifying glass and position it about one inch from some text. How much magnification would there be? Now, position it 2 inches from the text - more magnification. Now position it 10 inches from the text - it's now completely out of focus. Voila, the concept behind Focal Length! The further you move the magnifying glass from the text, the bigger it gets. Some lenses are designed to be further from the sensor and some lenses are designed NOT to be further from the sensor. The further you move a lens from the sensor, the more magnification you get. Longer focal length lenses (lenses which are designed to have their optical centers positioned further from the sensor) provide more magnification. Shorter focal lenses provide less magnification. Wide angle lenses magnify less than a "normal" lens and tend to exaggerate perspective, thus giving a picture more interest. They work especially well with foreground objects. By placing the rock to the left in this image, the picture has a lot more interest. 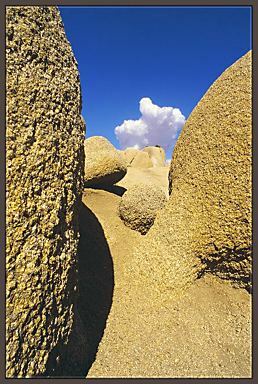 A "normal" lens wouldn't be able to capture that wide of a scene and the perspective of the foreground rock wouldn't have the appeal that it does in this image. The scene has much more depth with a wide angle lens than it would have had with a "normal" lens. For taking pictures of groups of people or landscapes, wide angle lenses are invaluable. But you don't want to go TOO wide. Since wide angle lenses tend to exaggerate perspective, you have to be careful with these lenses when taking picture of vertical objects (like people!). A focal length of 28mm or 35mm is a very good lens for taking groups of people. They can "see" a wide area (i.e., the group of people) but they don't often visibly distort vertical lines. Be careful with 20mm or below though. Be careful about vertical lines, especially at the edge of the picture. Be careful using filters as the possibility of vignetting exists - that is the filter could extend into the angle of view of the lens and cut off the corners. Be careful using polarizing filters since polarizing filters work best when 90° from the light source, wide angle lenses can see such a wide area that you'll get varying degrees of polarization within the scene. There's nothing "normal" about a "normal" lens! Normal lenses are determined by the sensor size. This concept started with film - if you were to measure the diagonal of the film image, you will get the approximate focal length for a "normal" lens. As you can see, a normal lens for 35mm film is about 43mm - usually rounded up to either 45mm or 50mm. The normal lens for a 120 negative that shoots a format that's 2¼" square is about 80mm, etc. What makes this a "normal" lens?? Not much. I guess it has something to do with the magnification is about that of the human eye. But for photography purposes, "normal" lenses are anything but normal!! Don't get me wrong, there's nothing wrong with them, but they tend to produce flat pictures without much pizaz. Wide angle and telephoto lenses provide much more interest in a picture because they tend to either open or compress perspective. 105mm/f4 1 lb 3 oz 3.3"
200mm/f4 2 lb 10 oz 7.6"
300mm/f4 4 lb 1 oz 8.8"
500mm/f4 7 lb 10 oz 15.6"
600mm/f4 10 lb 7 oz 17.0"
I won't go into the cost, but the 600mm/f4 can cost as much as a small car! Telephoto lenses are tempting - but they're generally more expensive, less useful and much more difficult to use than wide angle lenses. Long telephotos can be used for photographing wildlife at a distance. But be aware, that it takes a BIG telephoto to photograph most wildlife - unless it's very near and big (and generally, that's a situation you want to avoid!!). Depending upon the situation, I've been able to successfully use a 300mm lens to photograph large birds (herons, etc.) at close distances. If they are not unusually close, a 600mm lens is usually not enough! Most bird photographers use between 600mm and 1200mm focal length lenses to do their work. For most of us, the cost would be prohibitive! Mirror lenses work on the same principle as reflecting telescopes and is one of the oldest lens designs, dating back to Leonardo DaVinci. They use mirrors to bounce the light back and forth inside the lens and then forces it through a small correction lens before it reaches the sensor. There are two "Pluses" to these lenses: They are cheap and they are small/light. The disadvantages are that they are manual focus, have a small fixed f-stop (usually f8 or f11) that can't be changed, are generally are not as sharp as prime lenses of the same focal length and create "donuts" from out-of-focus highlights, which many people find objectionable. Most people who crave a long telephoto (600mm - 1000mm) generally try one of these (as I did). They usually sell them shortly after trying them, though. So, if you want to try one of these, my advise would be to buy it used - there are a lot of them around - and then, if you sell it, it wouldn't have been a costly affair! Zoom lenses span several focal lengths. Their special design allows them to "zoom" from one focal length to another and all in between. Zoom lenses provide a lot of utility, but do have drawbacks. On the plus side, you can use one lens for most of your photography. On the other hand, zoom lenses are often slower (i.e., largest lens aperture is often smaller) than prime (non-zoom) lenses. This smaller aperture means they're harder to view thru as there's less light in the viewfinder and focusing can be more difficult. Performance-wise, zoom lenses can be close to that of a prime lens, but are rarely as good. The low-end zoom lenses sold by most major manufacturers (Nikon, Canon, etc) are often very poor quality lenses that they sell very inexpensively. Good quality zoom lenses can be quite expensive. The ultra-wide zoom lenses do well for landscape photography. The standard zoom lenses usually cover a range from wide-angle to short telephoto. They are often good all-around lenses. The telephoto zoom cover a range that may or may not be useful to you. If you were do people-portraits, you really wouldn't need a zoom lens, but a fixed-focal length lens of about 100mm. If you want to take wildlife photographs, a telephoto zoom wouldn't be much use unless you zoomed all the way in - in which case, you wouldn't need a zoom lens! If you do both people portraits and wildlife, they may be a worthwhile lens for you. The Do-it-all zoom lenses are usually a poor choice unless you don't want to have to carry more than one lens. They often cover a very large range of focal lengths and usually aren't very high quality. There's a physical design problem in trying to create one lens to do everything well. These lenses are a compromise at best. Macro lenses have the ability to focus very close to a subject - so close, in fact, that the image that is formed on the sensor is about the same size as the real-life image. This is referred to as a "one-to-one" macro - where the subject and image are the same size. Macro lenses are designed to focus close up and do that best. When asked to take a picture at infinity, they can usually do it, but won't do it as well as close-up photography. 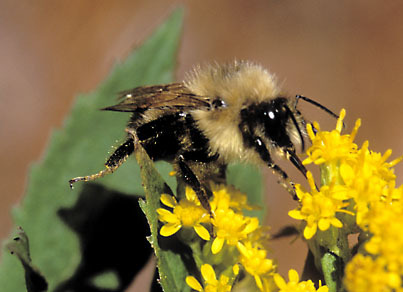 There are other ways of getting close-up pictures including extension tubes, bellows, close-up add-on lenses, etc. There is almost always a decrease in sharpness and, in some cases, the loss of auto-focus. But they are an inexpensive way to increase your telephoto capability as well as to increase the versatility of your lenses. How do you get the most bang for your buck?? You can pick up a used lens that will take the same picture as a brand new lens. Almost all of my equipment was purchased used. Photographer's are a "flighty" group - some are constantly "trading up". There's always a lot of used equipment available. Watch, read and ask questions on the Internet news groups for information on a piece of equipment you're thinking of buying - and don't consider any one response too highly!